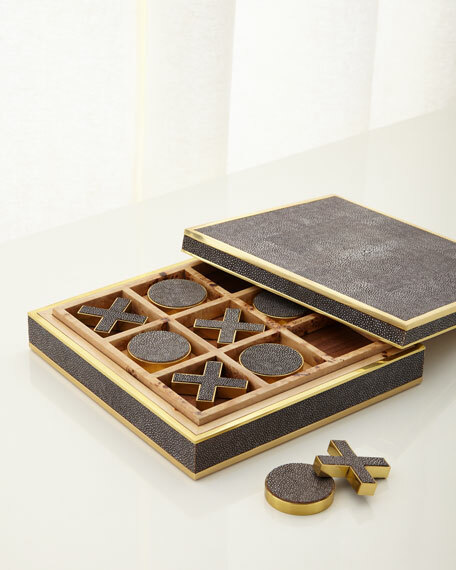 Handcrafted tic tac toe game. Wood box with faux-shagreen (embossed resin) finish and brass hardware. 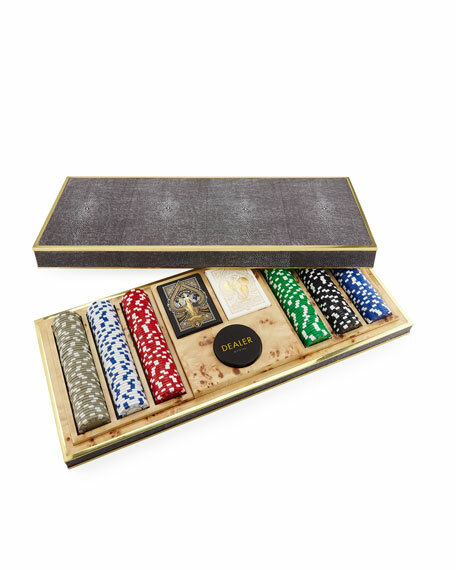 Brass playing pieces with embossed shagreen finish. Faux-shagreen (embossed resin) exterior. Brass hardware. Inlaid burlwood interior with suede lining. Approximately 21.5"L x 13.25"W x 3.25"T. Imported. 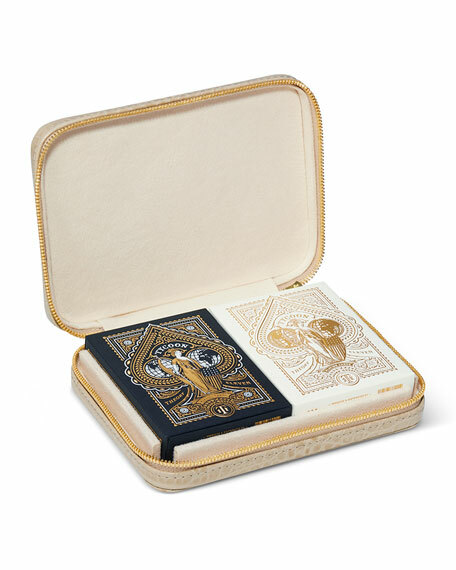 Two decks of cards in zip travel case. Italian croc-embossed leather case. 5.9"W x 4.3"D x 1.4"T. Imported. 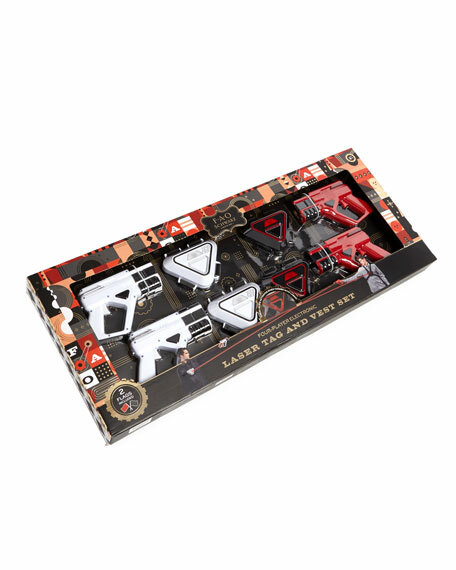 FAO Schwarz laser tag shooting game. 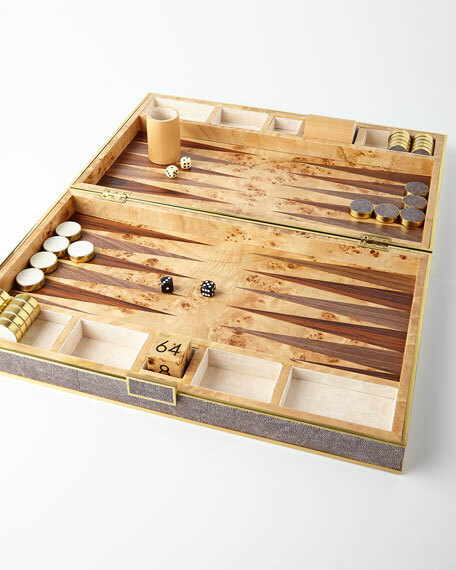 Game includes: four shooters and four chest plates. For ages 8 and up. Plastic. Imported.